Why not eat brisket for breakfast, lunch and dinner? 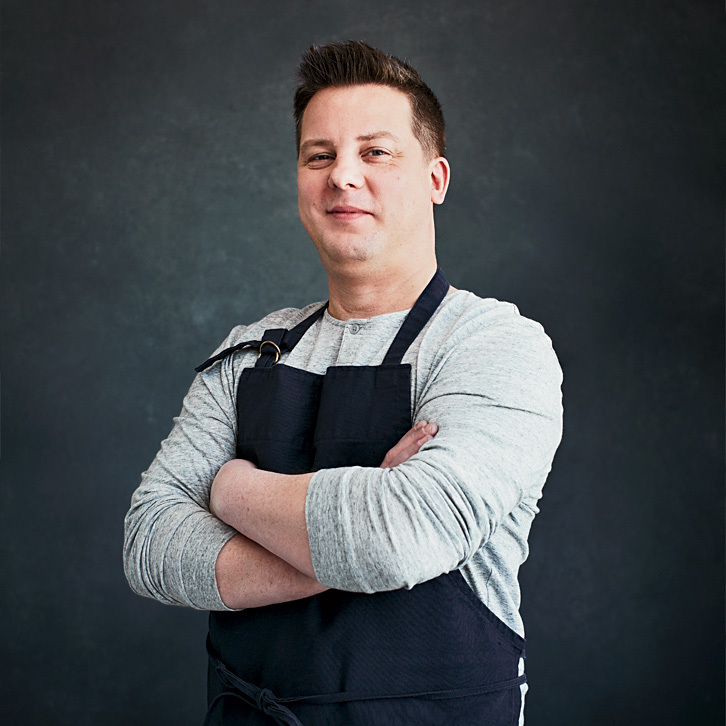 Matthew Gaudet has some ideas for leftover meat, along with a new restaurant, SuperFine, opening today. That means forgetting all the tweezers, the pomp and the circumstance of the fine-dining world and focusing on beautiful ingredients and bold flavors. Which gets you SuperFine, the 2013 F&W Best New Chef’s newest project since shutting down West Bridge, the restaurant that won him the title and national accolades. So after an eight-month “retirement,” as he likes to call it, he’s back in business with something more casual, sillier and with pizza galore. Say hello to SuperFine, opening today in tiny Manchester-by-the-Sea, Massachusetts (his wife’s hometown). But West Bridge isn’t gone forever: Gaudet is bringing back an old favorite, whiskey-glazed ribs under a chickpea crumble. And baguettes, breakfast pastries and healthy lunches are in the works to make it an all-day stop for locals—“I’d like to see everyone in this little town in here once a week, if not every day,” Gaudet says—but he’s not stopping there. “This might not be the only SuperFine we’re going to do,” he teases. If you visit SuperFine and somehow leave with leftover meat (unlikely), Gaudet has tips for making the most it. Breakfast: Hash is the way to go in Gaudet’s mind, and we agree. “All it needs is a poached egg with chimichurri sauce,” he says. Take some inspiration from this chicken hash. Lunch: “Make a sandwich,” he says, and proposes a super-simple stack. “Duke’s mayonnaise and coleslaw on a real soft roll.” As for the slaw, stick with this creamy classic. Dinner: And you can’t go wrong with pasta. “I take the brisket ends and cook that down with some tomatoes and fresh horseradish,” Gaudet says. Consider it a very inauthentic Bolognese.